Today's post will be the third in a series of four posts discussing four different alternative energy sources - nuclear, solar, wind, and ethanol. As Joe Rollins discussed in his August 15th post "Energy Crisis Resolved! ", all possible technologies should be reviewed. While none of these sources to be discussed are new, the importance of each over the next 10+ years should grow. While Thursday's surprise GDP report lifted the market, earnings from Dell Thursday after the bell and government reports on Friday pulled the market lower in light trading. On Thursday afternoon, the world's second largest computer maker, Dell (DELL), reported earnings with a lower profit than was expected. They attributed part of the miss to literally lowering prices too much thereby affecting margins. Also in the earnings report, Dell made comments that business IT spending was weak overall, and this hit the tech sector Friday. On Friday morning, a government report showed U.S. personal income fell unexpectedly in July while spending slowed as the effects of the government stimulus package wore off. There was some good news though as consumer sentiment showed signs of improvement that was helped along by falling gasoline prices. The Dow finished down 171.47 points (1.46%), the S&P 500 was down 17.93 points (1.38%), and the NASDAQ closed down 44.12 points (1.83%). Trading volume was very light at the NYSE with only 915 million shares versus the average of 1.90 billion shares. At the NASDAQ, about 1.56 billion shares were traded which was also below the daily average of 2.17 billion shares. As we have noted before, light trading volume usually brings somewhat exaggerated swings in the market. Volume should start to pick up over the next week or so as traders come back from vacation. Surprisingly, oil finished the day lower even with the threat of Hurricane Gustav in the Gulf of Mexico. At the close, oil was down 13 cents to $115.46 per barrel. Some energy companies with production facilities along the coast of Texas and Louisiana had already began shutting output as Hurricane Gustav approached. Much like Thursday, oil spiked early to above $118 before settling down for the day. On Sunday, our post will be Part 3 of the Alternative Energy series where we will be discussing wind power. From the e-mails we have received, it seems the series has hit a cord with everyone and sparked some good discussions. On Thursday, the Dow rose nearly 2% after the government revised the 2nd quarter gross domestic product to a 3.3% annual rate. The number was buoyed by strong export growth and consumer spending, and it was well above the initial estimate of 1.9%. After the GDP report, released at 8:30 am, stocks rose quickly at the open driving gains in major industrial and financial companies. The Dow finished up 212.67 points (1.85%), the S&P 500 closed up 19.02 points (1.48%), and the NASDAQ ended up 29.18 points (1.22%). Crude oil surprisingly fell today $2.56 to close at $115.59 a barrel. This seemed to ease fears about constraints on consumer and business spending as well as some inflation. Earlier in the day, oil jumped above $120, then fell after the International Energy Agency (IEA) pledged to open its emergency stockpiles if Tropical Storm Gustav damages U.S. oil and natural gas facilities in the Gulf of Mexico this weekend. Natural gas was hurt further after a surprising jump in inventories was announced. On news of the shake up at mortgage giant Fannie Mae (FNM), financials quickly started to regain some strength. Bank of America (BAC) had the largest gain in the S&P when it closed up 6%. Additionally in financials, MBIA (MBI) had a huge percentage jump by finishing up 34.9% after the bond insurer said on Wednesday it plans to reinsure a $184 billion portfolio of investment-grade U.S. public finance credits. On the news, other insurance companies rallied as well with Ambac Financial (ABK) adding 41.6%, and American International Group (AIG), the world's largest insurance company, closing up 7.6%. There was quite a bit of talk that the economy is stronger than originally thought, and that the next Fed move will be higher. The economic reports have been mixed at times, but it seems that most bond traders and economists still believe that the Fed will hold off on raising rates till closer to year's end or even longer. The economy has strengthened, but with inflation somewhat decreasing due to energy prices, the Fed does not need to slow down the economy to battle inflation. Friday's news will be the consumer sentiment report and personal income report (a gauge of inflation for the Fed), and there should also be an announcement by John McCain of his running mate. Expect a light trading day going into the long Labor Day weekend with the market being closed on Monday. I have written extensively on this blog about the media’s dramatization of our current economy. It seems that journalists are on a mission to make the daily financial news seem more and more spectacular, and after reading the headline noted above, I decided it was time for me to give you the facts on this subject. It’s true that the FDIC reported that the number of troubled banks increased from 90 in the first quarter to 117 in the second quarter of 2008. But it’s important to realize that this really isn’t all that significant. How, you may ask, can that be true? There are actually 8,500 banks in the United States, and 117 of those banks, or 1.4%, are in a problematic state. Let me emphasize to you that these banks have not failed; they are simply on the FDIC’s "watchlist" of problem banks. So far in 2008, a total of nine banks in the United States have failed. The FDIC reports that the total assets of these 117 troubled banks are $78 billion. At the end of the first quarter, when there were 90 banks on the agency’s watchlist, the combined assets were $26 billion. This is a $52 billion increase from the first to the second quarter, but it should be put into perspective that $32 billion of that increase was from one bank being put on the watchlist – IndyMac Bank Corp. – which ultimately failed in July. Without question, $78 billion is an enormous amount of money. However, as banks go, this amount is practically insignificant. I see so many self-purported “experts” on the Internet giving their opinions on how many banks they think will fail in the United States, and numerous articles refer to "BIG BANK" failures. Bank of America alone has $1.2 trillion in loan receivables. Comparatively, the $78 billion in combined assets of the U.S.’s problem banks is only a small percentage of the total of only one bank’s assets. The reason bank failures draw the media’s interest is because it’s a relatively rare occurrence. 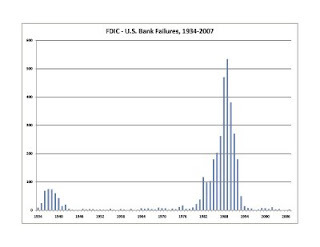 In fact, there have been very few bank failures in the United States since 1934. For the media to assert that nine bank failures and 117 problematic banks represent a financial crisis belies the statistics issued by the FDIC itself. There have only been two years since 1934 – in 2005 and 2006 – when there hasn’t been a single bank failure. The fact that not even one bank failed in 2005 and 2006 is even more amazing when you consider the fallout from September 11, 2001. In 2007, only three U.S. banks failed, and so far in 2008, nine banks have failed. While hardly any U.S. banks have failed since the year 2000, compare that with the years 1988 and 1989 when there were over 1,000 U.S. bank failures: The rate at which banks were failing during those two consecutive years was two every single business day. Interestingly, the U.S. was still able to absorb those massive bank failures without falling into a recession. Unfortunately, a big part of the problem banks are facing today stems from mandates set by those in my profession – accountancy. Accountants are requiring banks to reserve and write-down assets well beyond their reasonable valuations. For example, for the most recent quarter, U.S. banks set aside $50.2 billion in loan loss provisions, which is more than four times what they set aside as potential losses in the second quarter of 2007. Again, these are potential loan losses, not actual loan losses. With the Federal Reserve’s current low interest rate extended to banks, and with the relatively high interest rate these banks subsequently charge their customers, banks are earning potentially mind-boggling profits. Once we get through all the write-downs and adjustments of loan losses, I think we’ll see bank earnings rebound to a staggering level in 2009. In spite of my positive forecast on bank earnings above, the financial media continues to report concern regarding what they are touting as poor financial circumstances in the U.S. banking industry. The FDIC, by its very nature, is conservative beyond definition. If U.S. banking in America was as bad as the financial media would like for you to believe, you can bet that there’d be significantly more problem banks on the FDIC’s watchlist than the 117 of the 8,500 banks on it today. In a recent blog, I wrote that this past July 15th would be the bottom of the bank stocks. After that time, banks rallied – in some cases over 50% – but have subsequently fallen back in price nearly to the lows of July 15th. In the elapsing time, however, banks have become more profitable and more stable than ever. I hope that my rants help you realize how important it is for you to think objectively when you hear reports of gloom and doom in the media. If you simply accept the financial news reports without analyzing exactly what the facts represent, you’re likely missing a lot of important details that would undoubtedly provide a more balanced, positive picture. Lastly, and on a different subject, I’ve come to a fundamental disagreement with both candidates running for President over the last few days. They both speak of higher taxes and higher governmental spending, and I see projections of deficits running in the half trillion dollar range for 2009 and $5 trillion for the first four-year Presidential term. It is especially distressing to me that neither of these candidates is talking about cutting governmental spending. Each wants to spend more, give more credits, and provide more governmental resources, but neither wants to cut government and reduce spending to accommodate whatever revenues they currently receive. I hope that at some point, one of them takes on fiscal responsibility and recognizes that our government is big enough. The focus should be on balancing the Federal budget – not with increased taxes, but with decreased expenditures. On Tuesday, the markets ended mixed on a day where consumer confidence, Gustav, and the Fed seemed to be the talk on the street. After spending the day in positive and negative territory, the Dow Jones finished 26.62 points higher. The S&P 500 added 4.67 points, and the NASDAQ fell 3.62 points. The day started with the consumer confidence report coming in at 56.9 for August versus 51.9 for July. Most economists attributed this rise to the falling energy prices that helped the consumer. This was not a great number, but it was a positive over last month. The main worry for consumers seems to be job concerns in the current economy. Hurricane Gustav and its projected path to the Gulf of Mexico brought on a rally in oil and natural gas. This spurred on energy stocks for the day. Oil finished the day up $1.16 to $116. The Federal Reserve's Open Market Committee minutes were released today from the August 5 meeting. The minutes point to a Fed that is worried about weak growth and higher energy prices. As we have said in previous posts, the Fed can be patient because while inflation is a concern, a hike in interest rates would further slow this economy. Most economists believe that the next move will be higher for rates, but the timing and the number of rate hikes are in question. As we pointed out yesterday, this week will probably be very light on the trading floor but busy with news. Tuesday's number was somewhat equal to Monday on the New York Stock Exchange with 856 million shares traded, and on the NASDAQ with about 1.44 billion shares traded versus an average of 2.17 billion. Wednesday's lone economic data report was the durable goods orders report that is a preliminary measure of the manufacturing activity. The Commerce Department says orders for durable goods jumped 1.3% in July compared to the previous month, led by a big jump in demand for commercial aircraft. Orders for durable goods, which includes cars, appliances and machinery, had been expected to rise by only 0.1%, according to economists surveyed by Thomson/IFR. Durable goods are under scrutiny not only because they reflect business spending, but also because they are an indicator of consumer confidence. On Monday all three major indices fell on very light trading volume. The trading volume on the New York Stock Exchange was about 847 million shares which is well below last year's estimated daily average of roughly 1.90 billion. On the NASDAQ only about 1.42 billion shares traded versus last year's daily average of 2.17 billion. The reason this is important to note is that light trading volume usually brings wider swings in the market. Stocks can be swayed a bit more due to the lack of activity thus buying boosts it more than usual and selling hurts it more than usual. As Reuters said, "The three major indexes fell about 2 percent each, wiping out gains booked on Friday, though traders said thin, end-of-summer conditions may have exaggerated the moves." The financials helped push the market lower as credit concerns remained in focus. American International Group (AIG) fell on a price target cut and earnings estimate by Credit Suisse. This was followed by Lehman (LEH) falling on comments that the Korean Development Bank's interest in acquiring the investment bank was waning. Strangely, after being the albatross around the neck of financials for weeks, Fannie Mae (FNM) and Freddie Mac (FRE) were among the few gainers on the day. The stocks moved higher to reverse the large losses suffered last week on speculation a possible government bailout could wipe out shareholders. Freddie shares rose 17.1% on news of solid demand for its $2 billion debt sale, and Fannie moved higher by 3.8%. On Tuesday, the S&P Case-Shiller home price index report at 8:30 am EDT, July new home sales report at 10:00 am EDT, and consumer confidence report at 10:00 am EDT will be released. Additionally, the continued turbulence between Russia and Georgia still weighs on oil and the market. Prior to Tuesday's opening, the futures were showing a flat opening. This week looks to be busy with several financial data reports, and there are two political conventions over the next two weeks. The trading volume could be light though with some traders finishing up summer vacations. The Democratic National Convention starts today and runs through Thursday, August 28. The Republican National Convention starts next Monday, September 1 (Labor Day) and runs through Thursday, September 4. While neither one of these are necessarily huge market moving stories, they both could have some impact. We now know who Barack Obama has chosen for his running mate (Delaware Senator Joe Biden), but we do not know who John McCain will choose. The rumors are McCain will announce his running mate on Friday, August 29th, and try to shift the focus away from Obama and limit the traditional post convention "bounce". Since neither party told of their running mate until this past weekend and later this week, the markets could move this week and next based on how "Wall Street friendly" the running mates are perceived to be. The race for the White House is tied based on a CNN/Opinion Research Corp. poll conducted on Saturday and Sunday and released Sunday night with Obama and McCain both with 47%. Housing will start the week with the July existing home sales report on Monday and the S&P Case-Shiller home price index and July new home sales report on Tuesday. Most analysts and investors are hoping that these reports show some stability or improvement versus prior reports. Also on Tuesday will be the latest consumer confidence report. Wednesday has just one report with the durable goods orders. Thursday will have the preliminary real GDP report for the 2nd quarter that is estimated at an annual rate of 2.7%. This will be much better than the first quarter 1.9% GDP. Most analysts expect the 2nd quarter number to be higher based on international trading figures that have helped boost the GDP. Also on Thursday will be the initial jobless claims report that could show any change in employment figures. Friday has the consumer sentiment report and personal income report (a gauge of inflation for the Fed) along with a possible McCain running mate announcement. The consumer is the driver behind the market, so the two reports could start to show how consumer spending is holding up with back to school items and after the rebate checks. McCain's pick could have market implications, but it is hard to say when he will announce, so it may not be until after Labor Day that the market gets to react to the choice. What should be two slow weeks on Wall Street looks to be anything but right now. Today's post will be the second in a series of four posts discussing four different alternative energy sources - nuclear, solar, wind, and ethanol. As Joe Rollins discussed in his August 15th post "Energy Crisis Resolved! ", all possible technologies should be reviewed. While none of these sources to be discussed are new, the importance of each over the next 10+ years should grow. The markets rose on Friday with the banks and retailers taking the lead. Oil suffered its largest one day drop in four years, while rumors about a purchase of Lehman Brothers Holdings Inc. (LEH) swirled. The rumors, if true, could end the worst fall by financial shares since 1962. Lehman Brothers is down about 80% year-to-date, but it rallied 13% after Korea Development Bank said it's considering an investment in the brokerage firm. Citigroup (C), Bank of America (BAC) and JP Morgan Chase (JPM) rose more than 3.8% percent. Financials and Transports were influenced by Federal Reserve Chairman Ben Bernanke's forecast that inflation will ease. Bernanke was speaking at the annual Fed conference in Jackson Hole, Wyoming. Bernanke stated the stronger dollar and drop in commodity prices "should lead inflation to moderate." The Fed "is committed to achieving medium-term price stability and will act as necessary to obtain that objective." There is speculation, as we have discussed before, that the Fed will stay very patient, and they will most likely not move interest rates until sometime in 2009. A continued drop in oil prices (commodities) and a patient Fed could spell good news in the coming months for the stock market. It is a wait and see game, but the long term outlook for essentially all areas of the market looks good. I always appreciate feedback – both positive and negative – regarding my blog posts. 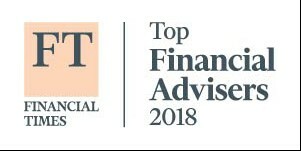 It helps me see what people are really interested in hearing about, and what’s on my readers’ minds regarding the economy and the financial world. I received a lot of feedback to my “Energy Crisis Resolved!” post on August 15th – most of which was complimentary – but I did receive one particularly critical email that grabbed my attention. The writer said that after reading my blogs, she was left with a feeling of despair, and she accused me of being exactly like the politicians I so often criticize – someone who criticizes everything but who offers no solutions. Essentially, this particular reader thought that the content of my “Energy” blog characterized the problems we’re facing, but failed to provide a solution or course of action that would lead to a solution of the energy crisis. And thus, the purpose of this post is to provide you with my solutions for the issue. Some people wonder why Speaker of the House Nancy Pelosi is taking all of the heat for not allowing an energy vote in Congress. Simply put, it seems to me that she’s going against the public’s wishes regarding energy reform. Nearly every poll I’ve reviewed on the subject indicates that 70% of the U.S. public prefers for the United States to immediately become more energy-independent from foreign sources. The first step in that happening would be to immediately begin domestic offshore drilling and other energy-saving activities. However, prior to Congress taking a five-week summer recess, Nancy Pelosi (and to a lesser extent, U.S. Senate Majority Leader Harry Reid), firmly ruled out a vote on new offshore drilling. Considering the recent results of a Gallup Poll indicating that Americans, by two to one, would be more likely to support a candidate who back expanded offshore drilling, I imagine this is becoming frustrating to many Americans. The reason for the stonewalling regarding the offshore drilling subject is relatively clear – there is potential political fallout for the Democratic Presidential candidate, Senator Barack Obama. But I don’t think they can hide much longer by their delaying tactics. When Congress is back in session after Labor Day and Senator Obama actually has to vote on energy issues, it will be incredibly uncomfortable for him – he’ll be in the crosshairs of both the public and with his important campaign contributors. While the public clearly wants more energy independence from foreign sources, the significant financial backers of the Obama campaign want absolutely none, and they seem to be adamant on the subject. Therefore, Senator Obama will be in a no-win situation of either voting for what the public wants or for what his campaign contributors want. It’s absolutely clear to me that Nancy Pelosi and Harry Reid are taking the fall for the Democratic Party by not allowing any type of vote on the subject. In recent news articles, both Senator Obama and Speaker Pelosi have indicated that they’d be willing to consider limited offshore drilling as a part of a comprehensive energy plan. Offering to put a bill before Congress that will be so bogged down with stipulations that it’s made unworkable for either party is full of political lingo. It will only further delay any action on an energy vote until well after the elections. I fully expect to see a bill introduced by both the House and the Senate that will be completely unworkable and will fail when they come to a vote. This stalling tactic is only for political reasons and will reflect a failure on the parts of our elected officials to follow-through on what the American public wants. I’m not suggesting that it’s possible to have one bill that will encompass all of these provisions. A single bill set up in such a way will surely fail, and that would only provide our elected officials with an out for voting against it. This, of course, would leave us in our present situation, where nothing gets accomplished. So, my solution is for everyone to contact their elected representatives and demand that they work hard to immediately resolve the energy crisis. Heck, you can even forward this post to your representatives and demand that they vote clearly and concisely on each of the energy issues mentioned above. The American public deserves for Congress to start taking this challenging issue more seriously and get a plan in place once and for all. For them to continue delaying a vote on this important situation and only ignore the energy crisis only reflects our government’s failure at doing the job for which they were elected. It is hard for me to imagine why any U.S. citizen would disagree with a straight up or down vote on these issues. That’s the reason our democratic system works while systems in other countries fail. Quite simply, the direct voting process is less cumbersome and easier to explain, and I think we would finally see that many members of Congress would vote for independent energy of foreign sources if given the chance. The fact that U.S. Senate Majority Leader Reid and Speaker Pelosi have refused to allow a vote on energy issues up to this point is outrageous and detrimental to our economy and national security. When I was preparing to write this post, I researched what the environmentalists’ objections are to nuclear energy exploration. To be frank, the information I found on the Internet was somewhat lacking in specifics and only focused on the disposal of nuclear waste. I wasn’t able to find any particularly compelling arguments that gave definitive reasons for why nuclear energy is an environmental concern. In fact, my research revealed that nuclear energy is the most environmentally sensitive form of energy that we have available to us today. I noticed several references in my research regarding the Chernobyl disaster and the Three Mile Island accident. It’s relevant to this argument to note that there wasn’t a single loss of life from the Three Mile Island accident and that no one was exposed to excess radiation. I think most people probably confuse the facts surrounding that incident with the movie that was released only 12 days before the accident, “The China Syndrome,” which concerned a nuclear reactor disaster. The Chernobyl disaster did, however, result in 56 direct deaths, with approximately 9,000 cases of cancer potentially attributable to the accident. This incident, however, is not indicative of the dangers arising from nuclear energy. The Chernobyl Nuclear Power Plan was built in the Soviet Union in a butler building with absolutely no failsafe designs. If you read the history on the construction of the plant, you will see that due to crime and corruption in the construction process, the nuclear reactor was improperly constructed and under-supervised. Furthermore, the type of facilities we would be building today have little to no resemblance of the the Chernobyl plant. Other than the Three Mile Island accident and the Chernobyl disaster, I was unable to find any serious environmental objections to building nuclear power facilities. It would seem to me that nuclear energy is the answer to many of our issues and is one that we should be aggressively proposed. As for domestic offshore oil drilling, I have only a few short comments: Those who are pushing the most for ANWR drilling in Alaska are the Alaskans themselves. They are the ones who’d be most dramatically impacted by those drilling efforts and they are the biggest advocates of taking that measure. Even though Speaker Pelosi absolutely refuses to have a vote on offshore drilling in California, she clearly is not in tune with what most Californians want for their state. The People’s Republic of California is mired in a financial mess. The current budget in California is running a deficit in excess of $15 billion. California Governor Arnold Schwarzenegger has cut all government employees to minimum wage, and there is no current budget even though the state has already entered a new budget year. Due to significant restrictions on businesses in California, businesses are relocating to states that are less onerous to business owners. Offshore drilling 50 miles outside the beaches of California would lead to a dramatic improvement in the financial resources spent in California. It is fairly obvious that Speaker Pelosi is not reading her own hometown papers. I’m not suggesting that any of these energy savings incentives should or could be done without a Congressional vote. But with a straight up or down vote, we will know how each of our elected officials stand so they can be held accountable. In researching this current rant, I came across an interesting tidbit of information: In 2001, newly elected President George W. Bush proposed a new energy bill. This bill provided for more drilling for oil and gas and new refineries. It also proposed incentives to build new nuclear power plants. More importantly, it described how the United States would have to revamp our electrical grid. It provided for $10 billion in tax breaks to help push energy efficiency and alternative energy. Does all of this sound remotely familiar? I’m sure there were many positives and negatives in President Bush’s proposed bill, but as you might suspect, none of it was passed by Congress. Remembering that the Republicans controlled Congress in 2001, it can’t be solely blamed on the minority party at that time. However, this bill seems to be very similar to a measure worth bringing up for vote again today. If something had been approved in 2001 or 2002, we would be halfway there to energy independence. Unfortunately, today we haven’t even started. Of course, it shouldn’t be forgotten that the Republican Party lost control of Congress in 2007. Even though they controlled Congress for a full 12 years before that point, they did a poor job of trying to push through any type of energy bill. At the beginning of 2007, the Democrats began controlling Congress without an energy bill in place. At that time, oil was at $50 a barrel and corn was at $2 a bushel. Today, oil is at $121 a barrel (a 142% increase) and corn is at $6 a bushel. Accordingly, in my attempt to equally criticize Congress, it’s easy to see that the Republicans did nothing for seven years while the Democrats have done nothing for a year and a half. It’s now time for us, as taxpayers, to hold our elected officials accountable for effectively doing the job we elected them to do. It’s imperative that they perform a straight up or down vote on the energy issues during the month of September and that all of our representatives participate in the vote. If everyone communicates this urgency to Congress, maybe something will finally get done! On Wednesday after yet another strange day for the market, the major market indices finished the day higher. The Dow rose 68.88 points (0.61%) after being down about 60 points and up more than 100. The S&P 500 rose 7.85 points (0.62%) while the NASDAQ rose 4.72 points (0.20%). The financials started to move again as reports of a meeting between the U.S. Treasury and Freddie Mac (FRE) were circulated. According to some reports, this was just one of many meetings that has been held since July, and it was not in response to anything specific or called to ask for help. Fannie Mae's (FNM) CEO, Daniel Mudd, helped the market start to trend higher when he said the concerns about his company's financial position were overblown. "They haven't offered anything and we haven't asked for anything," Mudd said, referring to the federal government in a public radio interview Wednesday morning. "I don't anticipate that they will do that." The dollar had another strong day and crude oil inventories rose much higher than anticipated, yet oil actually rallied Wednesday in the face of both events. While this will not help prices at the pump, it definitely helped fuel the energy stocks higher on Wednesday. Fannie Mae and Freddie Mac still remain two of the most volatile and followed stocks, and they will continue to be in the news. There have been various suggestions given as to how to handle both of the firms, yet for the time being, they remain unchanged. Time will tell as to which camp will prevail. The market turned lower today partly in response to the Producer Price Index (PPI) that showed prices rising at the fastest rate since 1981, climbing 9.8% since last year. The increase in prices was much higher than expected, setting the tone for a rather gloomy day for the equity markets. Tuesday’s report came on the heels of other inflation reports, including the Consumer Price Index (CPI), that have also shown unexpectedly strong inflation readings levels. While the market initially reacted negatively to the inflation readings, it’s important to consider that these reports are lagging. Whether the estimates for inflation were realistic could be argued; what cannot be disputed is that natural resource prices have fallen considerably over the past month which indicates lower inflation in the future. Two of the most widely followed indications of inflation – crude oil and gold – have each pulled back by more than 20% off of the highest levels reached earlier this year. Along with the traditional price inflation reports, there was a report published warning of the effects of “Age Inflation.” Life expectancies for a 65-year old today are seven years longer than for a 65-year old in 1935 (the year Social Security was created). The report today suggests that the Social Security retirement age hasn’t kept up with changes in longevity, partially due to the political hot potato the issue has become. If the system were to reflect the original intentions when the Social Security program was created, the retirement age would be somewhere between 71 and 74-years of age today. Eventually, Social Security is going to have to reflect reality. Studies also indicate that younger savers have not prepared adequately for retirement. Luckily for those who are over age 50, your benefits are not likely to change, but for younger folks, there is a good chance your government benefits might not come as soon as you would like. So start saving! Monday's move in the stock markets were at some level spurred on by an article in Barron's over the weekend regarding Fannie Mae (FNM) and Freddie Mac (FRE). The article cited an anonymous Bush administration source that said the government is trying to have each respective company raise more capital to safeguard against losses, but the administration thinks they will fail. The article continued by saying that the government was likely to buy preferred stock in both companies which would wipe out common shareholders. This single article spooked investors in both mortgage giants and sent the stocks down more than 22% each. The movement in these two stocks spilled over to the rest of the financials which pushed the Dow and S&P lower with the NASDAQ following suit. Most analysts disagree with the article though and believe that if the companies were in dire need of capital, The Fed or U.S. Treasury would give them emergency loans instead of buying preferred stock. If necessary, the purchase of preferred stock in either or both companies is seen as the ultimate final step to nationalize them. Few analysts believe the situation would ever come to that since the Fed and Treasury have the ability to lend money to the companies, so the need to purchase stock would be unnecessary. A Fannie Mae spokesman said the company "continues to exceed our regulatory capital requirements ... We continue to provide stability and liquidity to the housing market and we will continue to play a key role as the market recovers from this cycle." Then a Freddie Mac spokeswoman commented directly on the Barron's article by stating that the article "significantly overstates Freddie Mac's financial situation" and the company is "financially sound." Finally, since July, the U.S. Treasury has the ability to lend to the companies and the Fed decided to open the "discount window" to Fannie and Freddie if they needed to strengthen their balance sheet. The Fed also made a previous move in March to open the discount window to investment banks. These moves by the Treasury and Fed just prove the point that this government/administration and Fed are working to stabilize the monetary system and minimize any major impact. While they are not trying to step in to control the situation, they are on the scene to "backstop" the companies. As with most previous events, these events will be used to analyze what was done right and wrong for future decisions. The Fed and Treasury will look back to analyze if they could have handled anything differently. This has been the procedure of both institutions in the past, and it will be almost assuredly done now. Today's post will be the first in a series of four posts discussing four different alternative energy sources - nuclear, solar, wind, and ethanol. As Joe Rollins discussed in his latest post "Energy Crisis Resolved! ", all possible technologies should be reviewed. While none of these sources to be discussed are new, the importance of each over the next 10+ years should grow. First, in Saturday's post, there was a statement that needed to be clarified based on a couple of e-mails. The post should have made it clear that if oil continues to stay at the current level or moves lower, the threat of inflation becomes smaller and consumer spending will keep growing - thereby powering the economy along. Sorry for any confusion. The Apple (AAPL) iPhone 3G has been a hit selling millions of handsets and with the slow supply lines, continues to be a much wanted item. In fact this week, Apple signed an agreement with Best Buy (BBY) to become the exclusive "independent" distributor of the iPhone. Now you can get it on-line, at any AT&T store, at any Best Buy, or of course, at an Apple Store. This is great news for Apple, AT&T (T), and now Best Buy. The stronger demand should translate into higher earnings in coming quarters. It has not all been fabulous news though. There have been problems with activations, upgrade eligibility, and speed from the 3G service. The 3G service seems to work much faster than the old "Edge" service, but according to several reports, even when the phone could use a 3G network, sometimes it opts for the Edge network. When this happens, you are still surfing at the slower speeds. The biggest issue though seems to be the reception/dropped calls. Apple has acknowledged the issue, and they have said the Infineon (IFX) chip and its software are the root of the problem. Later this next week, Apple has said a new update to the software will be released, and they/we hope that it will fix the problem. From personal experience, the iPhone is a great phone most of the time. The tools, the apps, the phone itself seem to be very good. Unfortunately, when a call is dropped 3 times in 5 minutes or you have no service in an area that no one else has problems with, the situation does become frustrating. Overall though it is a really good phone. On the financial front, the sales of Apple's 3G iPhone are projected to reach 3.8 million units by the end of September (Apple's fiscal year end). Also, the new "App Store" has been a huge hit. The first month saw 60 million apps "purchased" on revenues of $30 million. While many of these are free apps, Apple believes it has a current revenue stream that will continue to grow from the store. When you add in iTunes, Apple has really worked to allow itself to continue to generate revenue from is customers. If you think back, before the iPod, iTunes, and the iPhone, did you really want to buy an Apple product? With the performance and "coolness" of these products though, can you imagine not wanting to have one of these? Apple has turned these products into more sales of PowerBooks and Macs. Apple has definitely figured out how one product can turn into purchases of their other products. This turns into brand loyalty and future profits. As long as Apple fixes the iPhone issue quickly with just a simple software update, Apple, AT&T, and Best Buy should reap the benefits for quarters to come. With the recent history of falling oil prices and a strengthening dollar, the U.S. stock market looks to be set to continue to move higher even with the weak economy being called into question. With oil prices moving down, the consumer has had some extra "pocket change" to spend. This turned into a somewhat boosted consumer spending last month. The problem is not the past but the future. Will oil stay at the current level or continue to move lower? If it does, the threat of inflation becomes smaller and consumer spending will keep growing - thereby powering the economy along. If oil starts to move higher again, the consumer could be hurt and spending would most likely slow. So what will keep it down? As we have discussed in many previous posts, oil is tied to the dollar. With the dollar moving up against he foreign currencies, it continues to put downward pressure on the price of oil. This seems to be a trend that at least for the short term should continue. Why has the dollar been stronger? Well, some economists has thought that the health of the U.S. economy could improve. They believe that the U.S. economy started to falter before most foreign economies, and while those economies thought they would weather the storm, the U.S. started to act (rate cuts, stimulus package, etc.). Now those foreign economies are seeing worse than expected economic data in Europe and Asia. The U.S., because of its early actions, are almost assuredly closer to a recovery than those economies. As the dollar strengthens and oil goes lower, the effect is that the consumer has more money to spend, and thus they are able to "stimulate" the economy even further. Could this be the second stimulus package that some have been calling for? While there are several reports coming up next week on the Producer Price Index (PPI), housing starts, and manufacturing, the focus will ultimately come back to oil and the dollar. Anything that moves the dollar up will force oil lower and vice versa. This will be something to watch in the coming weeks. It looks like the energy crisis has been left up to me and Paris Hilton to resolve… The complete incompetence of our elected officials being recapped on the nightly news only leaves me completely outraged. I’m talking about both Republicans and Democrats here – the incompetent are both in Congress and in the Executive Branch. In recent years, politicians out of Washington, DC have become so dogmatic that it is paralyzing the real issues concerning average Americans. The energy crisis issue, in particular, is one of national importance, and it’s obvious to me that those now responsible for making decisions in Washington never had to try to buy gasoline back in 1973. I, on the other hand, vividly remember what it was like to try to fill up the gas tank in 1973. Back then, even if a filling station had as many as seven or eight pumps, most of them had “No Gas” signs posted on them. It wasn’t a matter of cost – there just wasn’t any gas to purchase. Basically, America was facing a gas shortage because the Middle Eastern countries, in concert, had placed an embargo on shipments of crude oil to the United States. Compared to today, we’re not dealing with anywhere close to the same issues as those we faced beginning in 1973. There’s more crude oil being produced in areas outside of the Middle East, and contrary to the proclamations of the various candidates running for office, providing oil out of the strategic oil reserve would accomplish nothing. There is no shortage of crude oil anywhere at the current time; we are just suffering from the high price of the crude oil. The United States’ reliance upon foreign governments to provide us with crude oil has had a dramatic and potentially devastating effect on us during a time of war. Can you imagine if we couldn’t purchase crude oil from unfriendly governments right now? A vast majority of the largest producers of crude oil in the world are possible enemies of the United States, and they could potentially withhold oil from us which would be devastating to a war effort. The current conflict between Russia and the upstart province of Georgia only reemphasizes that possibility. Regardless of who is elected to be our next President, a solution to the energy crisis must be of the utmost importance. Our new President should declare that it’s in the best interest of the United States to pronounce energy independence from the rest of the world. By this, I don’t mean that we’d need to completely eliminate our need for crude oil; rather, our focus should be on not purchasing crude oil outside of our own borders. At the time, everyone thought that Kennedy’s speech was based solely on political rhetoric, and I wonder if Kennedy even believed the same. In 1961, the technology did not exist anywhere in the world to accomplish such a lofty goal – a goal that was made even more difficult by Kennedy’s challenge for it to be accomplished within the decade. Nonetheless, Kennedy’s objective was reached in eight years on July 20, 1969, when Apollo 11 safely landed on the Moon and Neil Armstrong took his infamous steps on the Moon’s surface. I recently visited the Smithsonian National Air and Space Museum, where they actually have some of the original space capsules on display. Compared to today’s airplanes (not spacecrafts), they looked like toys. It’s difficult to imagine that the astronauts were comfortable exploring space in a tin can strapped to a rocket. The United States was able to accomplish this incredible goal because of governmental involvement. The government initiated a massive spending of money on technology, which allowed the goal to be realized. NASA is given credit for creating miniaturized computers, which, prior to that time, did not exist. Due to NASA’s insistence, computer miniaturization was created making space travel possible. In time, NASA’s technology was made available to the private sector, creating a massive wave of new technology out of the United States. There’s a reason why the U.S. continues to be the worldwide leader in computer technology, and while it’s true that many countries duplicate our technology, the U.S. is ultimately responsible for creating the technology in the first place. Furthermore, nearly all of the major software developers in the world are based in the United States. In a nutshell, the U.S. government’s enormous commitment to the “space race” not only allowed us to succeed in landing a man on the moon, it also created a technology bonanza in this country that we continue to enjoy today. The United States could do the exact same thing regarding the current energy crisis: The government could employ the engineers and scientists to create the technology we need to realize that goal. As we go forward, this technology could be turned over to the private sector for free to enjoy and exploit. There’s absolutely no question that in a 10-year period, the U.S. could be 100% energy-independent from the rest of the world. Of course, this can only be accomplished on a bipartisan, common-goal basis. Unfortunately, based on what I see being reported today, our elected officials in Washington are wasting our time and are endangering our security with partisan politics. Worse than all of that, almost zero has been accomplished regarding energy in the last 30 years. In 1941, the U.S. government along with the United Kingdom and Canada entered into an initiative to develop the first nuclear weapon (atomic bomb) because of fears that Nazi Germany had been developing its own nuclear weapons since the 1930’s. The U.S. hired the best engineers and scientists money could buy to accomplish this goal, many of whom were foreign born but with a vested interest in harnessing the technology. From 1941 through 1946, the Manhattan Project provided the technology necessary to ultimately create the first nuclear weapon, and the project employed more than 130,000 people and cost nearly $2 billion. Based on CPI, this would cost us $24 billion in 2008 dollars, which is actually a relatively small amount compared to the billions and billions in pork barrel spending by our inefficient Congress today. Due to the government’s intervention and funding of the Manhattan Project, a nuclear weapon was successfully created within five years. We obviously know the effect these weapons had on our outcome in World War II; the U.S. prevailed and hundreds of thousands of U.S. soldiers’ lives were spared because of the Manhattan Project. While the merits of a nuclear weapon are debatable, the technology we garnered is indispensable to our futures. Because of the technology created for a nuclear bomb, we now have the ability to generate clean and safe power to the entire world. Kennedy’s “space race” and the Manhattan Project examples above illustrate that if the U.S. government commits its resources and personnel to accomplish a goal on a bipartisan basis, they can be accomplished. Based on my research, it’s totally unlikely that the United States would be able to furnish 100% of its energy needs solely from drilling within our borders and off the shores of this country alone. However, doing more domestic oil exploration than we do today along with a massive undertaking of new technology that some of us haven’t even contemplated is absolutely crucial to resolving the energy crisis. I watched a special the other night regarding a new hydrogen-fueled car manufactured by Toyota, which emits water vapor and no carbon monoxide. Unfortunately, this vehicle is unlikely to be sold in the U.S. in the foreseeable future due to a lack of hydrogen fuel stations in existence today. Small obstacles such as this amount to nickels and dimes and warrants governmental intervention. Literally thousands of hydrogen-based fuel stations could be built within six months if only our government would get involved. On Wednesday, the market had a weird day with the Dow dropping more than 100 points, but the NASDAQ and S&P 500 finished down only single digits. The Russell 2000 (an index that measures small cap stocks) finished higher. The market was fighting all of the problems that had pressured it in recent weeks all day. It started with weak economic data, oil data that showed a surprising drop in the supply, and the all too familiar credit crisis. The day began with a retail sales report that was disappointing, then a jump in oil prices when the supply data came in down more than expected, and finally, the financials succumbed to pressure after the write-down of assets by JP Morgan Chase (JPM). The tidbit missed by everyone it seems is that JP Morgan Chase wrote-down the assets because Merill Lynch (ML) sold them for 22 cents on the dollar. Since that is the current "value", that is what JPM wrote them down too. Once again, a write down but not a write off. On the bright side, the tech heavy NASDAQ finished essentially flat for the day with Apple (AAPL) leading the way. Apple announced that it would expand sales of its new 3G iPhone in an deal with Best Buy (BBY). Apple shares shot up 1.5% to $179.30 on the news. Thursday's market action will be guided by the Consumer Price Index (CPI) report. The CPI is a guage of inflation that many in the market point to on how it affects the consumer. The Federal Reserve Can Be "Patient"
As we have discussed in previous posts on The Rollins Financial Blog, the falling oil and energy prices have helped to curtail the threat of inflation. Thus, we believe that The Fed has the ability to hold the interest rates where they are for some time to help the weak economy pick up some steam. On Tuesday, Minneapolis Fed chief Gary Stern was interviewed on CNBC. During the interview, Mr. Stern said, "It (oil prices) should help to alleviate some of the inflation concerns and inflation pressures that we had been confronting, assuming this sticks." Then Stern added, "My guess is it's going to pay to be patient (on interest rates) at this point." Since Stern is one of the voting members of the FOMC (Federal Open Market Committee), this is interesting news indeed. It was just one month ago that Stern was suggesting that the inflationary risks were something that might need to be dealt with sooner rather than later. The current combination of lower oil and energy prices and a tight credit market may allow The Fed to do nothing as they hope the low interest rate environment allows the economy to start to get back to normal growth. "I think it'll taken some time for these headwinds (credit crunch and inflation) to diminish," Stern said, "In fact, I wouldn't be surprised if they didn't pick up a little more momentum first." Stern did caution that it is too early to make any rush judgments. The number of reports and estimates that must be waded through are numerous, and some may point to a growing economy and some may point to a struggling one. When things do start to improve, The Fed must look to control the first signs of inflation and reign in growth if it happens too quick. "If you wait till you have conclusive evidence, you run the risk of waiting too long," Stern said. "The real message is that you've got to be willing, at some point along the way, to say 'you know, I have enough confidence in my outlook that it's time to go'." When questioned about the role that oil prices played in the decision from the August 5th meeting, Stern said, "From my perception, some of the concerns about inflation and inflation expectations seem to have diminished." Oil prices continued their fall on Monday as crude oil traded at a three month low before moving up fractionally but still finishing down for the day. The drop was caused by the strengthening U.S. dollar and data that revealed that China's energy demand could be stalling. Peter Beutel, president of the energy risk management firm Cameron Hanover, wrote in a research note that investors appear to be selling commodities to get back into stocks. Beutel noted in his note that crude oil open interest has dropped by more than 100,000 contracts since the record high in mid-July. In Monday's oil trading, the military conflict between Georgia and Russia set the tone on supply worries, and oil rose in response. Later, the rallying dollar continued to push oil prices lower. The big news though was a report that stated that China's crude oil imports are down 7% year over year. As the market took in the report, oil dropped. We have all heard about the continued demand and growth in emerging markets, and this maybe just a hiccup, but did the high price of oil force the demand lower in emerging countries? This is a question investors continue to ask themselves. The market moved higher on the fall in oil prices before slowing down after the Fed reported on the credit situation. The report showed a strained credit market. About 75% of the banks in July had increased requirements for prime mortgages which was up from about 60% in April according to the report. This essentially means that lending institutions (banks) are being bit more cautious when they underwrite debt. They are trying to be conservative with their capital for the first time in years. The positive for the banks though is that they have a huge supply of money to lend at very low interest rates. The spread between the short and long term rate is rather substantial, so the banks make more and more money. They just want to be sure that they are not caught napping on debts/mortgages going forward. There are several reports being issued this week, but not one is as important as Thursday's July Consumer Price Index (CPI) report. The report is a gauge of inflation that shows how the end consumer is being effected. Most economists estimate the overall CPI to rise 0.4% in July versus June's reading of 1.1%. The "Core CPI" (excludes food and energy prices) is estimated to gain 0.2% in July which is definitely better than June's gain of 0.3%. The other reports to be released this week are: Tuesday - June's International Trade Deficit; Wednesday - July's Retail Sales Report, July's Import Prices, and June's Business Inventories; Thursday - the afore mentioned CPI Report; and Friday - July's Industrial Output, July's Capacity Utilization Data, and the initial report on Consumer Sentiment from Reuters/University of Michigan Surveys of Consumers. One of the other things that Wall Street will continue to focus on will be the price of oil. Oil has dropped dramatically since its inter-day high on July 11 due to a rise in supplies, a drop in consumption, and a stronger dollar. This has definitely helped the inflation issue and the consumer. If the consumer is spending less on gas and energy (as well as food), then they should be able to spend more at retail shops, travel, and technology. Interestingly enough, Barron's is set to publish an article in the August 11 issue that says that energy stocks are now undervalued. "The sharp drop in oil and natural-gas prices has produced an even sharper pullback in energy stocks, creating what may be one of the best buying opportunities in the sector in several years. Energy issues have rarely been so inexpensive, relative to oil and gas prices, estimated asset values and earnings. Barring a collapse in oil and gas, energy could prove to be one of the market's top groups over the next year. Most of the stocks could easily rise 25% or more." Maybe Barron's read Joe Rollin's Wednesday, August 6th post "Many Reasons for Optimism". In the post, Joe explained that energy stocks are "incredibly cheap" among his many other conclusions. If you missed it, it is something to go back and read. What Would You Do To Stop The IRS? While all of us are somewhat worried of an IRS notice, few people go to the alleged extremes of Randy Nowak in Florida. Mr. Nowak was arrested for trying to have an IRS agent murdered after the agent started investigating the man's personal and business taxes. Mr. Nowak owns and operates a construction business, and the IRS has been trying to make sure that everything is on the level with his tax returns. It seems that he was worried about what would be found, so Mr. Nowak tried to find a hit man. Instead of hiring a hit man though, he actually met with an undercover FBI agent and paid him a $10,000 down payment. It didn't stop there though. Mr. Nowak also asked the "hit man" if he could burn down the agent's IRS office. In an FBI statement the bureau said, "The FBI considers threats of violence against United States government employees due to their enforcement and/or investigative activities very serious matters, and this case is a good example of our commitment to aggressively pursuing those responsible." If Mr. Nowak is convicted, he could be looking at up to 20 years in prison and a $250,000 fine. This is probably quite a bit more than anything Mr. Nowak would have received from the IRS. Wall Street is hoping that the drop in crude oil prices today to $115 is just a continuation of a trend. With oil dropping, inflation worries have lessened which should help boost the prospects for profit growth. Also, the dollar strengthened against the Euro for its best finish in 6 months. With the drop in oil and great earnings from McDonald's (MCD) today, the market had its best week since April. Twenty-eight out of thirty Dow component stocks were higher today. The Dow Jones industrials (.DJI) finished the week with a 3.6% gain, its best weekly gain since the week of April 14. It was the highest close for the Dow since June 25. The S&P 500 (.GSPC) had a 3% gain for the week, and this was its best week since the week of April 14. The NASDAQ (.IXIC) had a weekly gain of 4.5% which was its fourth weekly gain in a row and its best weekly showing since the week of April 14. Crude oil's drop had it fall 8% for the week, but it is still up 20% for the year. The $115 close was its lowest since May 2. The next big report to move the market will be Thursday's release of the Consumer Price Index (CPI) for July. Economists are currently predicting a rise of 0.4% overall with a rise of 0.2% of the "core" CPI (core CPI excludes food and energy prices). This would be a huge positive versus the June CPI reading of 1.1% overall and 0.3% Core CPI. On Thursday, U.S. stocks fell after American International Group (AIG) reported a larger than expected loss Wednesday after the close. AIG's earnings and forecasts led to fears that the credit crisis was not over for the financial sector. Thursday morning before the open, Wal-Mart (WMT) released its sales projections that were seen as "cautious". This led some to worry about consumer spending in the coming quarters. All of the financials were hit after AIG posted its third consecutive quarterly loss of more than $5 billion as it wrote down bad mortgage-related investments. During trading Thursday, AIG's shares had their worst day in more than two decades. Citigroup (C) did not do any favors for the financials after the bank agreed to buy back more than $7 billion of illiquid auction-rate securities to settle charges it misled investors about the debt's risk. Then Moody's Investors Service said it may downgrade the credit rating of Dow component American Express (AXP). The stock fell more than 4% on the news. Wal-Mart's report of weaker July sales are believed to be due to the fact that shoppers had run out of tax rebate cash. This seemed to also sour the predictions of a good "back-to-school" shopping season this year. Oil prices gained about a $1.50 to close right at $120 a barrel on news of an explosion on a Turkey pipeline. The explosion sent oil higher due to possible supply issues for that region. The good news for the day came from the National Association of Realtors (NAR) which reported that U.S. pending home sales unexpectedly rose in June. Does this mean we have reached a bottom in real estate and have turned the corner? It is much too early to say, but any movement to the positive in residential real estate is welcomed at the moment. On the Tokyo exchange Friday morning, the market has turned positive by 0.5%. The stronger dollar (of the past few weeks) is helping the foreign stocks of Honda and Toyota among others. The goods produced in Japan have a lower cost with the stronger dollar. This news was thought to raise the earnings power of Toyota and Honda. On Friday morning, the U.S. Dollar is at a six month high versus the Euro. This is helping to push oil lower by $2.75 to about $117.25 in early morning trading. Also reported Friday morning was the U.S. productivity report by the Labor Department. The report showed that U.S. firms cut back their employees' working hours in the second quarter which kept productivity growth relatively high. Inflationary pressures were subdued with real hourly compensation falling. This is a good sign for the fight against inflation, but it could be a bit troubling for economic growth. Productivity in the non-farm business sector rose at an annual rate of 2.2% in the second quarter, while unit labor costs rose 1.3%. The Federal Reserve, Treasury Department and the SEC have collectively been more active this year than at any time since the Great Depression. Our current economic troubles pale in comparison to that dark period of American economic history; however, the concentration of turmoil within the financial system has led to significant intervention by the government intended to relieve the pressures on the financial system and with the broader economy. The Federal Reserve has lowered interest rates, brokered the bailout of Bear Stearns and agreed to provide additional liquidity to more financial institutions than ever before. The Treasury has taken an active role in trying to save the mortgage holding behemoths of Fannie Mae (FNM) and Freddie Mac (FRE) while also encouraging Congress and the President to pass legislation designed to aid all participants of the mortgage market. The SEC joined the party fashionably late, but has been trying to regulate the actions of short sellers and market manipulators. The pendulum has swung towards more government intervention and increased regulation. Some see the recent shift as the end of the de-regulatory environment of the past 30 years, largely attributed to the influence of the Reagan Administration. Some opponents argue that the free markets – free of regulation and interventions – are the most efficient way to achieve positive economic results. American economic policy has vacillated between eras of more and less regulation throughout history. While increased regulations almost certainly stifle some of the economic efficiencies produced by the free market, regulation is intended to add stability to financial markets and the economy. Stability and confidence do come at a price, but it is equally difficult to argue that stability and confidence are not attributes which attract additional capital and investments. As is the case with most government policies and intervention, the debate is endless as to what degree of regulation and oversight are appropriate. “A Tale of Two Halves” would be a good title for investors during the month of July. Over the first 15 days of the month, the S&P 500 had fallen nearly 5% as the large cap indices had fallen into bear market territory (down 20% from highs in October 2007) for the first time this year. By the end of the month, the market had regained most of those early month losses closing the month negative by 0.8%. The Dow Jones Industrial Average logged a modest gain of 0.4% for the month of July, while the NASDAQ and Russell 2000 fared better, gaining 1.5% and 3.7%, respectively. For the year, the large cap indices are all down in the 12 to 13 percent range while the small cap stocks have fared slightly better, only dropping 6% for 2008 through July 31st. The small cap outperformance for the month and the year will be a trend to watch. Small cap stocks generally are one of the first segments of the equity markets to show improved returns in advance of an economic recovery. It has also been noted that small cap stocks have done better during some periods where elevated inflation was present. These smaller, nimbler companies oftentimes find it easier to pass on higher costs to their customers. The financials gained an impressive 7% during the month of July. Holding out for a monthly gain with this sector was a harrowing experience, as the financials teetered on the precipice before rebounding 25% from July 15th through the 31st. Even so, the financials have still been the worst performing sector by far, producing a negative 24% return for the year through July 31st. The financials holding these recent gains will play a large part in determining whether the market has finally hit a bottom. Coinciding with the positive shift in values of financial stock prices was a sharp correction by the commodities and the natural resource stocks. The price of oil fell $20 to $126 per barrel, which in turn sent the energy stocks reeling to a 15% decline for the month of July. Oil prices have still risen 30% for 2008, but interestingly, energy stocks, including the recent correction, have now posted a negative return of 5.7% for 2008. Stock prices of energy-related corporations and the actual energy prices on the commodity markets don’t necessarily have a perfect correlation, but it would seem that energy stocks could be attractively priced compared to an investment directly in the corresponding commodities. Other sectors standing out during the month of July were the homebuilders (up 6.33%), REIT’s (up 2.62%) and Healthcare stocks (gaining 5.13%). Healthcare, as a group, has performed well compared to the market this year, particularly over the past several months when that sector gained 2.61% versus a decline in the S&P 500 of 8.5%. This is a marked change for healthcare stocks, which have been relatively out of favor for several years. Healthcare stocks traditionally have been seen as a less economically sensitive sector which investors would gravitate towards when the economy wavered. The government reported that the GDP for the 2nd quarter grew at an annualized rate of 1.9%. While the figure was slightly less than the experts’ most recent expectations, it was still a fairly strong reading compared to many of the forecasts at the beginning of the year. One attribute cited by economists was trade figures, specifically growth in exports and a reduction in imports which, combined, added 2.42% to the overall rate of economic growth. The tax rebate checks also provided a positive impact as consumer spending increased at a 1.5% rate in the second quarter of 2008. The stock market did not react favorably as the GDP data was released in part because the expectations of 2.3% growth were not met. Another common complaint of economists is that the trade improvements and gains from the government stimulus plan may not be sustainable. Some have opined that increased government spending on infrastructure projects as opposed to the tax rebates may have a longer lasting effect as jobs are created. Any additional government projects are always controversial as many opponents would rather return tax dollars to hard working Americans as, in their view, a more equitable way to stimulate the economy. We find it difficult to find many negatives with the growth of the economy considering the challenging environment for the U.S. economy. Given that home prices have declined 15% over the past year, the problems pervading the financial institutions and historically high energy prices most would have suggested sharply lower economic activity, not growth. Economists have often pointed to any one of these singular issues as a recessionary instigator. The fact that the economy could grow, albeit at a slower rate than preferred, is somewhat remarkable. When and if the housing market and energy prices stabilize the outlook should immediately become more favorable for the economy and investors. The news regarding the stock market and the economy has been just dreadful for the months of June and July. It seems that every day we are confronted with a new avalanche of selling on the stock market and negative news being reported by the media. For example, the largest mutual fund provider, Fidelity Investments, only had one fund in their entire portfolio of equity investments that is positive year-to-date through July, 2008. Virtually all of their mutual funds are in double-digit negatives for the year with only Fidelity Real Estate up a meager .8% for the first seven months of 2008. Even their more conservative funds, like Balanced and Puritan, have losses of 9.3% and 9.4%, respectively. This has been an unusually difficult year from an investing standpoint, but I’m a long way from throwing in the towel from a financial perspective. Since it was a slow weekend anyway, I decided to sit down and read as much as I possibly could on current economic and investing news. I typically spend this time of year watching a considerable amount of Atlanta Braves games. This year, however, the team has become irrelevant (especially since Skip Caray is now on permanent D.L. ), and frankly I am having a hard time finding anything else on TV to be worthy of my time. Therefore, I decided a good weekend activity would be to sit down and read all of the newspapers, Internet postings and reviewing other matters related to the news of the world and investing. I think some of my comments below might enlighten some of you regarding future investing. My research project was initiated based on a couple of television events this week. The howling fool, Jim Cramer, declared this week to be the end of the bear market and the beginning of a new, more powerful bull market. Jim Cramer doesn’t say a whole lot that I agree with – this isn’t entirely his fault; he’s just become a slave to his own celebrity. In any event, I watch at least a portion of Jim Cramer’s Mad Money practically every night, and I’ve come to realize that he’ll often change his opinion on a particular stock within the same week. To those who don’t watch the show consistently, it would be hard to pick up on these contradictions in stock recommendations. The pressure of trying to come up with new observations and ideas is perhaps limiting Cramer in giving the type of advice most investors need. To Jim Cramer’s credit, it was he who, one year ago on August 3, 2007, set YouTube on fire with the clip of him exclaiming that “They [the Fed] know nothing!” It was Jim who first brought the credit crisis to national attention and brought the inaction of the Federal Reserve to the forefront. With his howling frustration about the Fed and his correct assessment of the credit crisis, he was the first to acknowledge that the Fed was just sitting on the sidelines doing nothing. Perhaps because of (or in spite of) Jim Cramer, the Federal Reserve has picked up the ball and has performed brilliantly. I’m so impressed with Federal Reserve Chairman Ben Bernanke and Treasury Secretary Henry Paulson and their current actions. While none of us can forecast the future, it appears a major financial crisis has been averted by the swift actions of the Federal Reserve and the Department of Treasury. This past week also brought out the shadowy figure, Dr. Alan Greenspan. He once again made national news by opining that the U.S. economy had a 50/50 chance of recession. It’s somewhat interesting to note that at this same time last year, Dr. Greenspan was forecasting the odds of a recession in the United States to be 70%. It seems that his projection has fallen as the months pass. A recession has yet to be realized. I couldn’t help but note Dr. Greenspan’s thoughts on deflating the financial bubble in housing. He should be a prime candidate for understanding how the bubble could be deflated. Since he is the one who created the bubble, surely he must know how to pop it. If there is any question that I didn’t correctly predict Dr. Greenspan’s missteps, please read any of my prior writings on the subject of his fallacies. Furthermore, just so I’m clear, I have no empathy for the problems on Wall Street. The housing industry didn’t create the troubles on Wall Street; it was completely the other way around – Wall Streeters created the housing problems. Due to Dr. Greenspan’s irrational setting of low interest rates in the early years of this decade, Wall Street abused what was originally the banks’ function of lending on housing and created its own chaos. By packaging and selling literally millions of sub-prime loans, Wall Street allowed builders and prospective buyers to create a complete nightmare. Homes were built that never should have been while buyers with unworthy credit were able to purchase homes with loans that never should’ve been extended to them. It seems somewhat ironic that for the billions of dollars that Wall Street made on selling these toxic sub-prime mortgages, it was they that ultimately paid the dear price. While the homeowners will suffer from the unwinding of this real estate fiasco, it will be Wall Street that suffers the true economic loss. While housing prices have come down over the last 12 months, they still stand substantially above their values going into this decade. I thought one interesting piece of news from last week was incredibly ironic. At the same time that Dr. Greenspan was speaking on TV on Thursday regarding his forecast that there is a 50% potential for a U.S. recession, the Federal Reserve made an extraordinary announcement. They announced that the M2 money supply figures for the week jumped up a staggering $49 billion. What’s unusual about their announcement is that it came after a full three months wherein no money was created by the Fed. As any follower of economic activity knows, unless the money supply is increased growth in the economy can’t occur. As we have seen, banks have cut off financing for housing and for economic expansion due to a lack of an adequate money supply. With this flood of new money into the system, banks will have no choice but to lend now. For this reason, I think it is almost assured that economic activity will pick up in the coming months. In my own cynical mind, I wonder whether the Fed’s announcement regarding the explosion of the money supply was not a “We will show you, Dr. Greenspan. There will be no recession!” statement since it was released on the very day of Dr. Greenspan’s televised speech. I’m sure the timing was just coincidental, but it was entertaining nonetheless to those of us who study economic trends. I have several other news items to cover, but I thought I would go through them in the order of importance. There was an interesting article that didn’t receive much publicity, but that I ran across in the New York Times, of all places. The article reported the results of The Conference Board’s consumer confidence report, reflecting that for first time in the poll’s 20-year history, 55% of all consumers expect the stock market to fall over the next 12 months. Given the inundation of negative sentiment, one would question why that percentage isn’t even higher. What makes these poll results so interesting is the history of its consumer confidence results and what actually happened in the stock market in the 12 months after. There have only been six times when the results exceeded 36% of respondents being negative. Remember it is now at 55% -- an all-time high – and I’m referring only to the six prior cases when it exceeded 36% negative sentiment. In each of those incidences, the subsequent 12 months following the poll were extraordinarily good times for the stock market. In November of 1987, the next 12 months brought gains of 19%. In October, 1990, the gains were 29% after such a reading. In December, 1991, preceding the first war in Iraq, the gain was muted at 4%. In April, 1994, the following 12 months had a gain of 14%. In October, 1998, there was a 24% gain, and in March, 2003, there was a 33% gain. Just for comparison purposes, there has never been a negative 12 months after such an extreme bearish reading. Additionally, there has never been a bearish reading as high as the current 55%. From strictly a contrarian point of view, it would be hard to identify a more encouraging barometer. Additionally, if you will note the dates quoted in each of those time periods, the U.S. economy was in much more severe economic distress than it is today. June and July gave us a complete breakdown in commodities speculation. During the last two months, we have seen corn prices plummet. Additionally, coffee, oil, heating oil, soybeans, and natural gas have dropped markedly. While all are still at elevated levels, they are significantly below their levels going into June. There should be no fear in anyone’s mind regarding inflation over the next few years. With the deflating of housing prices and the moderation of the net increase in commodities, inflation should be restrained. The current yield on a 10-year Treasury bond is 3.92%. You may rest assured that if bond traders felt that inflation was a significant threat to their principal over the next 10 years, they would not be trading the U.S. Treasury bonds at historic low levels. It should’ve become obvious to all after last week that Iraq is no longer an issue. Due to the stabilization in Iraq, it should be clear that this is one potential fear we no longer need to worry about. Regardless of who becomes our President, stabilization in Iraq is now readily assured. It seems that the timetable for withdrawal by the current President and the candidates running for office are materially indifferent. Regardless of who is elected, there will be 40,000 to 50,000 American troops in Iraq as a peacekeeping force for years to come. While it is certainly not desirable that we would have to maintain a long-term presence in Iraq, surely none of us are so naïve to forget that we still have a large military presence in Germany, 63 years after the end of WWIII. And in Korea, 55 years after the end of the Korean War, there are still American troops present. Contrary to the ill-advised proclamations of one of the candidates running for President, Afghanistan is not critically important, but Iraq is both significantly and strategically important to our economic future. A stabilized Iraq will reign in Iran and provide a buffer between Saudi Arabia and Iran. While Afghanistan will have to be dealt with in short order, it has no economic value to the United States today. Once Iraq is completely stabilized, there will be adequate troops transferred to Afghanistan, the land of rocks and opium, to stabilize that country. It will only take a short order of significant troops to once again stand Afghanistan on its feet. However, the difference between Iraq and Afghanistan is that in Iraq, they’re generating billions of dollars a day in revenues from the sale of oil. Afghanistan has virtually no natural resources and little Gross National Product. In the coming years, Iraq will only increase their significant revenues from oil and Afghanistan will continue to struggle. While it is true that the war on terror must be fought in Afghanistan and Pakistan shortly, to assert that it is more important than Iraq is naïveté beyond comprehension. Did you happen to read this week that President Hugo Chavez unexpectedly announced the nationalization of the largest Spanish-owned bank in Venezuela? Over the last few years, Chavez has nationalized industries such as oil, telecommunications, electricity and steel making. Now he is attempting to nationalize the banks in his quest for a complete socialistic government in that country. Nationalizing is when a government steals, by force, businesses from private companies – many of which are owned by Americans. I find it interesting that Venezuela’s economy is now practically on the edge of breakdown. The vast majority of the country doesn’t even have reliable social services and economic chaos is ensuing. This is even more surprising given the oil producing capabilities of Venezuela. However, without foreign capital, the country is suffering from a severe downturn in oil production and technology. This is just the most recent example of the inability of a socialist government to function in a democratic world, similar to Russia, North Korea, Iran, and many other socialist countries that have failed. Don’t you find it somewhat ironic that a socialistic government cannot and will not work, yet sometimes people in our own country, including certain politicians, believe that we are in need of socialistic reform? There is currently a plethora of misinformation in the United States that a socialistic government here would be better than the democratic one we enjoy today. Duh?!? Have you noticed that the immigration issue has fallen completely off the radar screen as of late? Last week, the center for immigration studies estimated that 1.3 million illegal immigrants have left this country since Congress gave up the comprehensive reform bill a year ago. Many, of course, were deported, but most just went back to their homelands on their own accord. It seems the combination of stricter immigration enforcement along with a slowing U.S. economy has solved the issue for itself. Given that we now know enforcement works, it seems that this issue can be solved peacefully. Another threat to the U.S. economy has now been averted. I am incredibly amused by the arguments in the political arena regarding windfall profits. You don’t have to be much of a scholar in economics to understand that in a slowing economic environment, the absolute last thing you want to do is increase taxes. To increase taxes on the oil companies that essentially control our future regarding energy issues is practically insane. Without giving the oil companies incentives to explore and find new oil, we certainly will have even bigger issues in the future. Absolutely no one questions the need to go to alternative fuel. However, during the next decade we really do not have a choice. The answer to the energy issues in America is simple: do it all. Drill, use wind and solar power, alternative fuels, seek additional energy sources – even fill up your tires with air and get a tune-up! The absolute wrong answer is to have a windfall profits tax. Do you realize how many Americans could be put to work seeking new energy in high-paying, meaningful jobs in this country? Why any person (or politician) would rather spend this money by purchasing from unfriendly governments belies logic and intellect. Here’s an interesting tidbit of information that you might’ve missed this week: Exxon Mobil reported a record second quarter net income! Indeed, it’s the highest quarterly profit for any corporation, ever. However, with corporate profits also come a substantial payment of U.S. taxes. As economist Mark Perry has noted, Exxon Mobil will pay more taxes this year to the U.S. Treasury than the bottom 50% of all taxpayers combined – a staggering $61.7 billion for the six months so far this year. So let me get this logic straight: we want to tax a corporation more that is paying as much in taxes as 50% of our residents in order to give a rebate to the people who pay no taxes?!? Once again, the basic law of economics does not support the conclusion. I’m fond of philosopher and poet Georges Santayana’s expression, “Those who do not study history are doomed to repeat it.” It’s not as if we haven’t tried a windfall profits tax before. In fact, as recently as the 1970’s, Jimmy Carter’s windfall profits tax led to a 6% drop in net domestic output and a surge of as much as 15% in oil imports, according to the Congressional Research Service. Some politicians clearly haven’t retained much from history if they’re proposing a tax that was such a miserable failure in the past. Maybe you haven’t read about the absolute explosion of new energy discoveries in the world. Due to the high price of oil, new findings are occurring virtually daily. There was a finding in Louisiana of natural gas that will double the known natural gas reserves in the United States. With the explosion of the expansion of wind power in Texas and the drilling of natural gas wells in downtown Fort Worth; Texas is moving rapidly towards energy independence. It is now believed that the largest deep water oil reserve that has ever been explored was found off the shores of Brazil. This field is larger than all the known fields in Saudi Arabia. It is believed that there is as much oil in the Antarctic as all the known reserves in the entire world. While certainly the cost of exploring and recovering this oil is gigantic, with the high cost of fuel it is making the possibility of recovery more likely. There are significant oil findings in shale in Colorado and in the Rocky Mountains. Unfortunately, our Congress had to go on vacation before they could get around to voting on policy as important as the cost of fuel in every consumer’s life. I do not think any Americans would actually have a complaint with Congress if there was a straight up and down vote on energy exploration in the United States. But the fact that it cannot even be brought to a vote should be an embarrassment to all Americans. With the recent explosion of nuclear power plants, you will see a conversion from coal and natural gas plants to nuclear in the coming decades. There are absolutely no negatives to this trend – only positives. The fact that we haven’t built nuclear plants in this country over the last 25 years should be an embarrassment to all Americans. Genteel and socially conscious France produces 87.5% of its electricity with nuclear plants while the U.S. produces 20%. What is wrong with this picture? How all of the foregoing affects stock market investing is the most exciting part. I sit in amazement when I read the stock quotes every night and am baffled at the inexpensive pricing of stocks. As of yesterday, AT&T is selling at less than 10 times next year’s earnings with a 5.3% dividend yield. Likewise, Verizon is similarly priced and has a dividend yield in excess of 5.1%. The large cap technology stocks are selling at bargain basement prices; companies such as Microsoft and Oracle are selling at historic low prices, yet they continue to trend down on a daily basis. I could go on and on… Earnings have been extraordinarily good all but for the banks and car manufacturers. 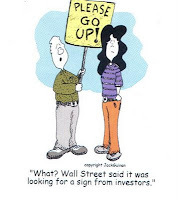 We are seeing current prices on great stocks that frankly I have never seen before in my investing lifetime. I projected that we would see bank stocks rally significantly off of their lows and now they are up 30-50% in only a period of less than three weeks. I think we are seeing an upsurge of the combination of high earnings, low prices and an improving economy that will lead to significant gains over the next 12 months. Even with my background in analyzing stocks and evaluating economic markets, there’s no way for me to forecast the movements of the gigantic hedge funds or the momentum players. Frankly, no one can make those predictions, and none of us really need that knowledge. Investors simply can’t compete with a group of hedge funds representing billions of dollars that collectively make decisions to go long on energy and short the financial stocks. When hedge funds work in concert with one another, they accomplish exactly what has happened this year: energy prices go into the ionosphere while financial stocks go to bargain basement, penny stock prices. Truthfully, forecasting movements by hedge funds or momentum players has nothing to do with investing and more to do with speculation; my intent is to evaluate stocks on a long-term basis and determine when they are cheap and a good time to buy. If we tried keeping up with the momentum players, we’d suffer from wild swings in asset values, which is detrimental to everyone. I’m sure there are readers of this blog saying, “Oh yeah, but what about the unemployment report this week?” First and foremost, this report, while unfortunate for those losing their jobs, was actually encouraging. An unemployment report of 5.7% is not anything close to major concern. While it may be true that consumers are cutting back, as long as they have jobs they will continue to consume. The most important economic reality is that unemployment is a trailing indicator. Increased unemployment, while certainly an unfortunate situation for the unemployed, is actually encouraging. It means that businesses are cutting back on excess employees and preparing for the future. The stock market is a forecasting device and anything that happens in the rearview mirror is somewhat irrelevant. There has been a significant increase in GDP over the last three quarters. While it’s definitely still at a low level, it is increasing markedly on a sequential basis. This bodes well for future economic activity. At the current time, there are an absolute record number of open “short interest” positions on the New York and NASDAQ stock exchanges. Those shorting the market believe that stock prices will be going lower, and therefore, they have sold stock they do not own. The encouraging part of this from a stock market investing perspective is that at some point, they will have to repurchase those stocks in order to cover their short sale. Investors shouldn’t care where the purchasing comes from, they should only care that they repurchase. I project that there will be a significant reduction in short interest in the coming months, and this will be an economic boom to the stock market as the shorts unwind the transactions. Many of the mutual funds that we own have large concentrations of energy stocks. Due to the sell-off in oil during June and July, many of these mutual funds have performed poorly. However, it is our intention to stick with these particular mutual funds. First, because these funds have been incredibly successful over long periods of time, they make them well-suited to hedge against the future. Secondly, and more importantly, these energy stocks are incredibly cheap. Most of the major oil companies perform their projections and value their reserves assuming $70 barrel oil, which is what they view as the true fair market value of oil. Given that the current price is $125 per barrel, this makes the stocks even more inexpensive. Realistically, I do not envision oil selling for $70 per barrel anytime in the coming couple of years; we will have to see a dramatic increase in the supply of oil or significant decline in demand for this to happen. While clearly there is conservation and moves to switch to alternative fuels, in the most optimistic forecast we are still five to ten years out for that to make a serious difference. Admittedly, it’s hard to be optimistic in light of the avalanche of bad news we’re barraged with. While I try to remain objective, it’s sometimes difficult to sift through the negative news and focus on the optimism built into these stories. Yes, I understand that if you get your news solely from the national media, you need to understand that it is extraordinarily limited. If you put the entire script of the nightly news in print, it would probably only cover less than one-half the front page of the New York Times. Given the documented bias by some of the major news outlets meant to affect the political outcome of the upcoming election, I think you would be better served to review and analyze the news from other sources. It has not been much fun investing over the last seven months. However, I do have an instinctive feeling that our odds for success have gone up dramatically over the last several months.